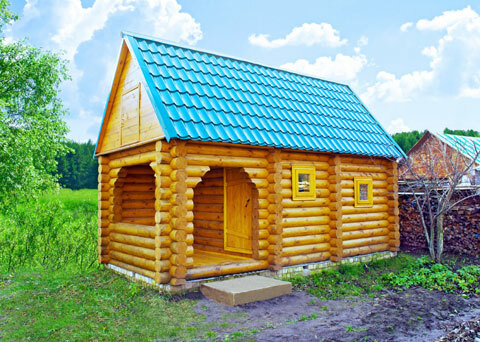 Metal roofing has been an architectural staple for thousands of years, for good reason. Its durability and aesthetic has made it a natural choice for endless varieties of buildings since the 3rd Century BC. Metal roofing began to be used in America in the 1900’s. It became a popular choice due to its light weight, meaning builders had to install fewer struts and beams. The longest lasting copper roof was installed on a Catholic cathedral in Hildesheim, Germany in 1230, remaining intact until it was bombed in 1945. Today’s metal roofs won’t last quite that long, but they have a far superior durability compared to all other roofing options. While it is true that a metal roof will cost two to three times as much as an asphalt one, don’t let the price tag dissuade you. The financial benefits of installing a metal roof far outweigh the initial costs. Most metal roofing comes with a 30 to 50 year warranty, with most lasting far longer. Steel roofing often comes with a lifetime guarantee, whereas most roofing options last 15 to 20 years. While an asphalt roof increases your indoor temperature by 20-25°F, metal roofing will reduce your need for air conditioning by at least 15%. Metal roofing can lower your insurance premiums and increase the value of your house. It’s easy to see why: metal roofs are fire resistant, can stand up to high winds and even tornadoes raging at 100 mph. Due to its ability to expand and contract, metal roofing provides solid protection against heat waves and icy winters. Its slippery surface prevents snow from building up on your roof. Many metal roofs are even tough enough to resist damage from hail and falling tree limbs. There are many material options available for metal roofs, all with a different price tag. While it is true that a metal roof will cost two to three times as much as an asphalt one, don’t let the price tag dissuade you. 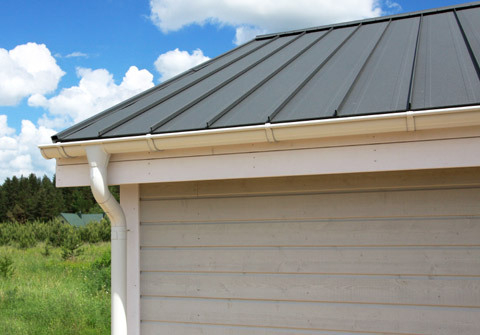 The financial benefits of installing a metal roof far outweigh the initial costs. Galvanized steel (steel coated with zinc to prevent corrosion) is the most common material for metal roofs. Aluminum, tin, copper and various alloys are also often available. Ask your local metal roofing expert for the best option to suit your budget and your region. For instance, if you live in a salty seaside environment, an aluminum roof would be the better choice. Metal roofing can be customized to suit any style and any climate. Vertical panels are a favorite choice due to their practicality, good value and wide range of color options. Metal shingles and tiles recreate the classic appearance of asphalt shingles, clay tiles or slate roofs, while metal shake gives you the rustic look of a wooden roof without the pesky repairs. The color you choose for a metal roof is not just about aesthetic – the right pigment will maximize solar reflectivity and emissivity (the ability of a material to radiate absorbed heat back into the night sky). While dark metal roofing will still have a relatively high solar reflectivity compared to asphalt, concrete or clay, lighter colors are the best choice for energy savings with metal roofing. Installation of metal roofing is often faster than replacing shingles or tiles, especially if the new roof is installed overtop the existing one. However, it is very important to hire a qualified installer for your new metal roof. It is a mistake to try to save a few bucks by doing it yourself, as a poorly installed metal roof will not provide the same energy savings, and the process can be quite dangerous due to its light weight, sharp edges, and slippery surface. Follow HomeAdvancement's board Metal roofs on Pinterest.